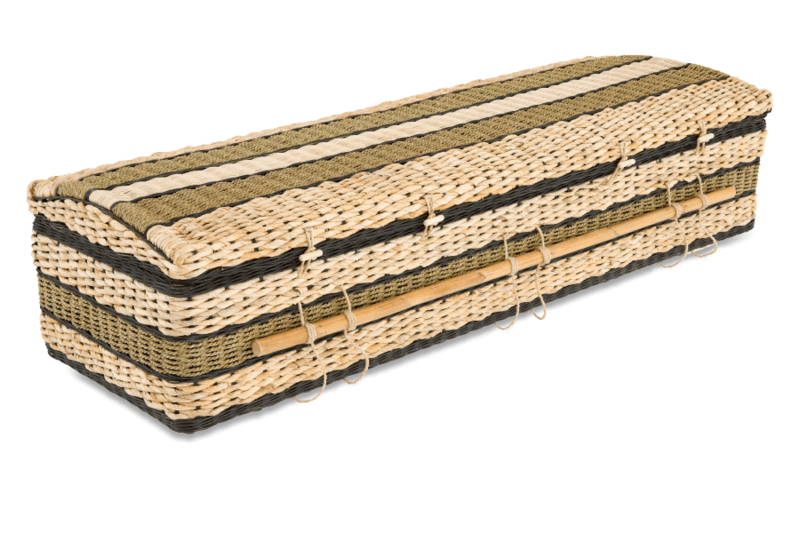 The ‘Banana’ Casket is one of our elegant choices from the Greenature range. Local craftsmen in Indonesia collect only the mature leaves from the banana and pandanus plants in the wild so that it continues to regenerate. The dried, sustainable fibres are then hand twisted and braided into a rope. 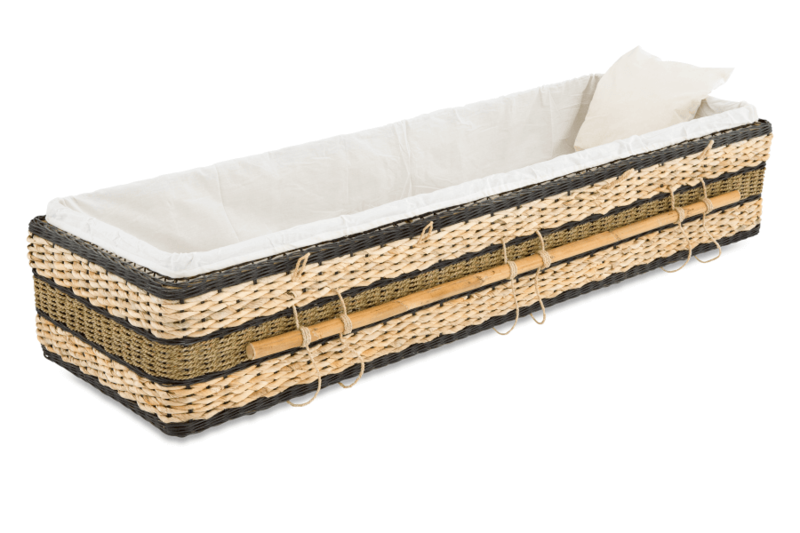 This is skilfully woven over the casket frame to create an elegant two tone wicker contrast. Banana trees are generally grown in tropical climates. Easily accessible, banana leaf is dried and sustainable fibres are extracted. When braided into a rope, it is a very strong raw material. When woven over a furniture frame, it provides a natural and eco-friendly aesthetic appeal. We support local skilled artisans in Indonesia who are then able to add aesthetic value to our handmade caskets.